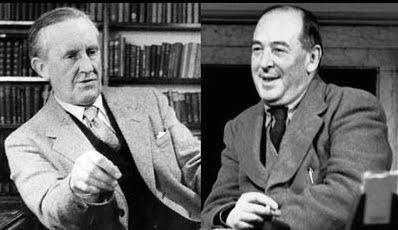 Did you know that C. S. Lewis and J. R. R. Tolkien were good friends for a time? Did you know that Tolkien was instrumental in Lewis becoming a Christian? The three friends talked until after three o'clock in the morning and a few days later Lewis wrote to his old friend Arthur Greeves, saying: "I have just passed on from believing in God to definitely believing in Christ, in Christianity.... My long night talk with Dyson and Tolkien had a great deal to do with it", and that he would explain it at some other time. Did you know that Lewis was instrumental in pushing Tolkien to publish the Lord of the Rings? Lewis commented, “If they won’t write the kinds of books we want to read, we shall have to write them ourselves.” Lewis encouraged Tolkien, to continue the work he had started in The Hobbit. Tolkien also agreed to try “time-travel” and Lewis “space-travel,” which led to the Ransom Trilogy. And of course Lewis wrote the Narnia books as well. 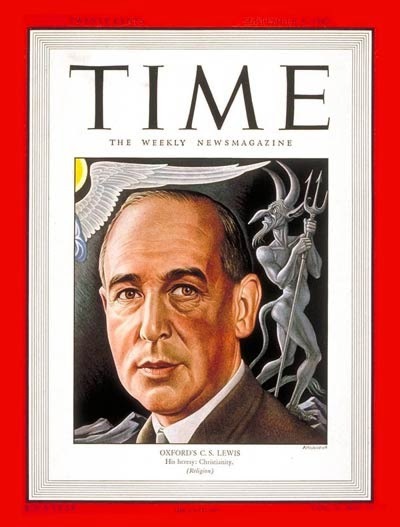 Did you know that Lewis was on the cover of Time Magazine in 1947? If you want to learn more about C. S. Lewis, you could start by reading his autobiography of sorts, Surprised by Joy: The Shape of my Early Life. There are also a number of biographies out there, and of course some are better than others.